Zoos are a place where stars surrender the spotlight to the adorable animals occupying the exhibits. 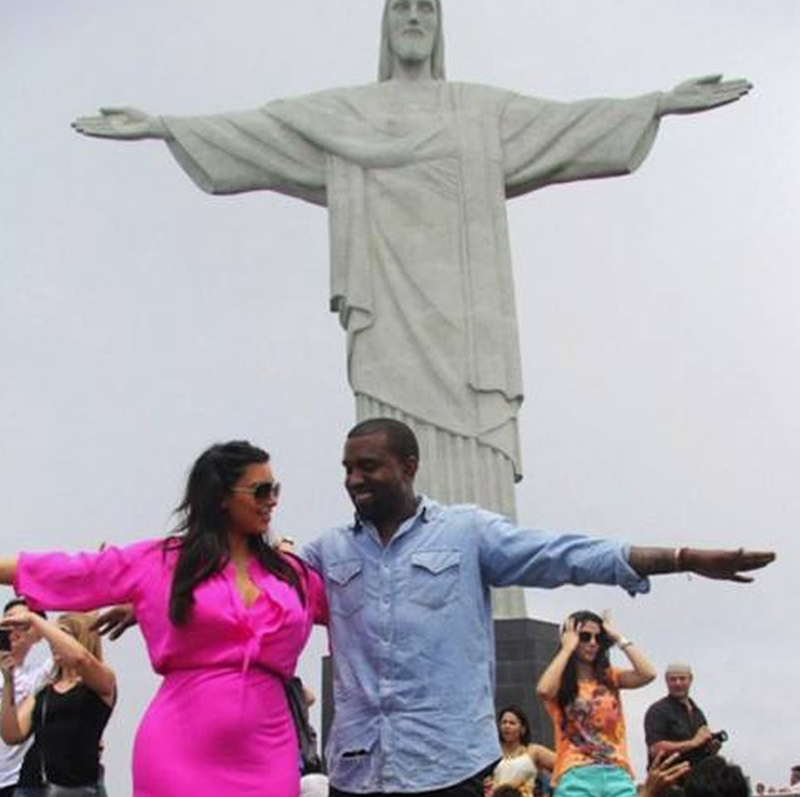 Here’s a compilation of zoo locations where celebrities have been spotted in the wild! Amazing stop in at The Adelaide Zoo. Thanks for showing us around! Ciara and her son took an “unreal” selfie beside un underwater crocodile. They also witnessed a crocodile feeding during their February 2015 visit. Bindi Irwin was “Watching the sunset with lemurs jumping in the trees overhead” and said, “What a perfect way to end the day” in December 2015. Derek Hough “Finally got to meet Derek Hough the Koala” in December 2015 and “Reunited with my little” Bindi Irwin (and a big rhino!) during the same trip. 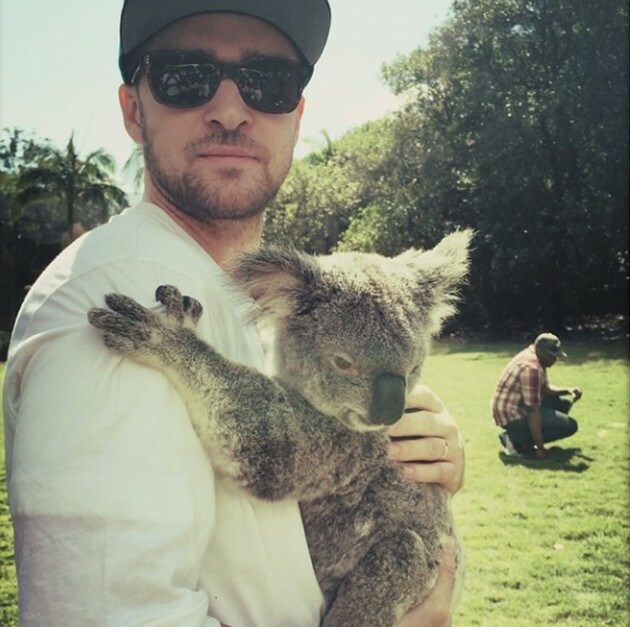 Justin Timberlake kicked it with April, the koala with “so much SWAG,” and fed Weipa, a 14-foot crocodile, during his September 2014 visit. 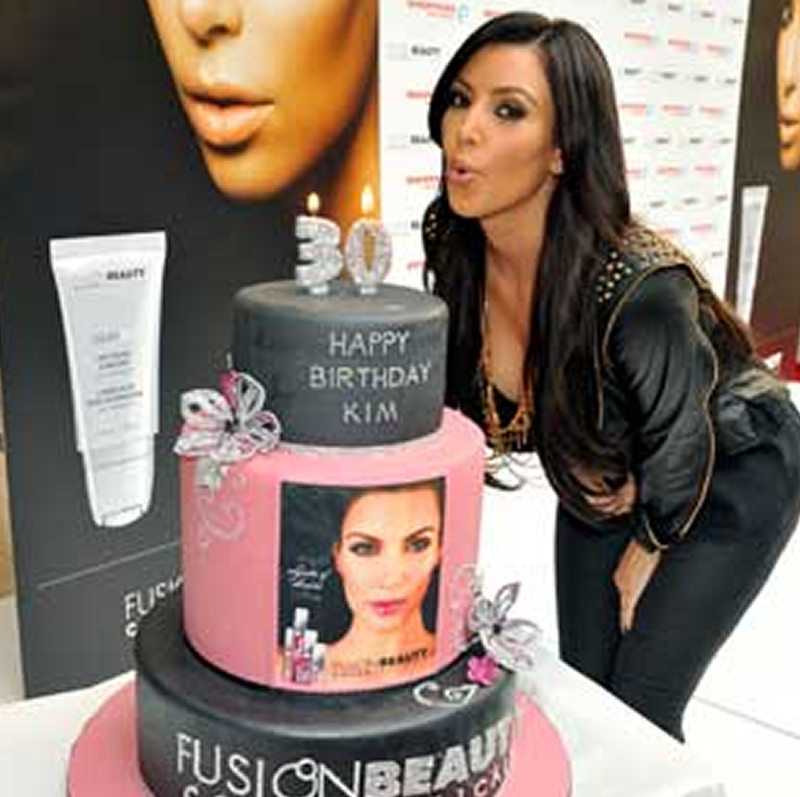 Kim Kardashian kuddled a koala when she was here in September 2014. For World Turtle Day in May 2015, Lucy Liu posted a selfie with Rocket, a 100 year old tortoise. 64th St and 5th Ave.
Mariah Carey held Edmond the koala to pose for a pic with dem babies and joked about taking bets on a kangaroo fight she observed while on the property in November 2014. THANK YOU @columbus_zoo & Tommy D for the most INCREDIBLE day! ❤️, me, @yourboyswish , Emme , & @nadine_adriana_ ! Blue skies and a group of giraffes greeted Beyoncé and Blue Ivy Carter when the mother-daughter duo dropped in back in March 2014. Jessie J seemed smitten by a cute lion cub she snapped a pic with in September 2014. Giuliana Rancic, Bill Rancic, and son Duke had a “#familyday at Lincoln Park Zoo” on a “65 and sunny” Sunday in November 2015. The Rancic crew checked out the giraffes and camels. Alyssa Milano wore furry ears to ask, “What does the fix say?” after a “Big day at the Los Angeles Zoo” in November 2015. Christina Aguilera thanked her husband for making “the best home vids of us & the kids,” with their “Latest family outing” at the Los Angeles Zoo in July 2015. The group got to feed a giraffe! Molly Sims spent part of her 42nd birthday weekend in May 2015 partying with the animals and her family. “They say it’s good luck to get a kiss from an #Okapi – don’t they?” Lance Bass asked when he got close to the giraffe-related creature in April 2015. Jeremy Piven‘s entourage on a December day in 2014 included a hungry giraffe. It was “An honor to feed this long gentleman,” he said. Pete Wentz enjoyed “Zoo lights at the la zoo” in November 2014. Elizabeth Berkley and her son were making memories on a rainy day in October 2015 at the Paris Zoological Park and said it was the “best way to do #pfw if you ask me #evenbetteronarainyday.” The two took time to check out the giraffes. The West family took a walk on the wild side while in the area for Super Bowl weekend 2015. Kim Kardashian, Kanye West, and their daughter North West enjoyed a day trip to see all the animals. Sam Smith said he was “IN HEAVEN” receiving a smooch from a seal in January 2015. Hugh Jackman had an “Absolutely awesome experience at The Smithsonian Zoo” in December 2013. He seemed to particularly like observing Giant Panda cub Bao Bao, who was born just a few months before. Naomi Watts and family had a “Fantastic day meeting the lovely koala and all the other animals” at Taronga Zoo on New Year’s Eve in December 2015. Eva Longoria exchanged a kiss with a koala here in July 2015. “Critter creeping” is what Tony Hawk called his February 2015 adventures with giraffes, a sea lion, baby kangaroo, and of course, a koala. Heidi Klum had “So much fun in Australia visiting the @tarongazoo!” in January 2015. The supermodel got up close with a super tall giraffe. It was “love at first sight” for Alessandra Ambrosio and a cute koala in September 2014. She also made “friends with the locals” — that is, she happily fed a couple kangaroos. Harry Connick, Jr. snapped an “octopus stalkie” when he was at the Toledo Zoo in August 2015. Ivanka Trump and her daughter were “Feeding the birds at the Turtle Back Zoo” in August 2015. Monica “fell in LOVE” with Valentino, an adorable lar gibbon she says has matching hair and gives the sweetest hugs. Monica said daughter Laiyah loved their behind-the-scenes experience at the zoo in June 2015. You can book a special wild encounter ($35-$268 plus zoo admission) for yourself here.